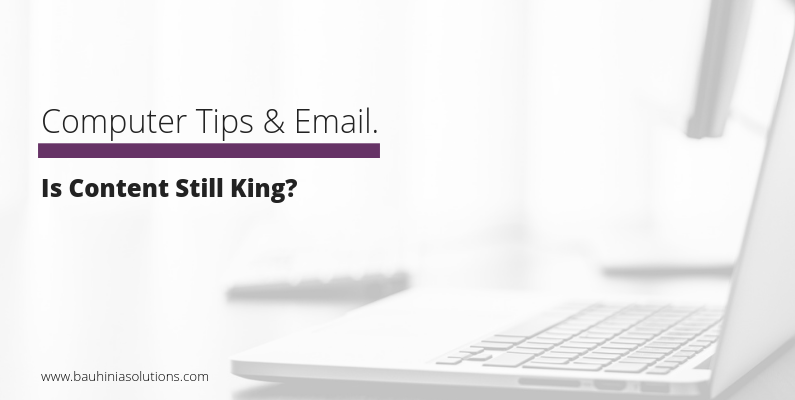 While the phrase “content is king” has been around since the 70s, it wasn’t until Bill Gates published an essay of the same name on Microsoft’s website in 1996 that the term really hit the mainstream. Nowadays, it has become a bit of a cliché and an internet meme, but that doesn’t mean it is less pertinent or even less accurate. A number of years ago, entrepreneurs as a whole were publishing content because they found it interesting and thought it to be of value to their readers. And while this still remains the case in 2017, content writing has since become more of a science rather than an art, as marketers are targeting their readers more efficiently with sales funnels and well-honed marketing spiels. Savvy purchasers want information that is valuable to them; otherwise, they will quickly lose interest. Even well-developed sales funnels will fall flat if they aren’t supported by appealing emails which capture the reader’s attention in a few seconds flat. With the rise of video blogs and podcasts, content has to remain unique and influential to even make a dent in the saturated online marketplace. If not, you hardly stand a chance at all. Despite the fact that more money is spent on curating valuable content for specific purposes, one thing that has risen to the forefront is the need to remain authentic. This should certainly be a priority for those entrepreneurs who are heavily invested in their business and want to succeed above all else. And while Google and other search engines continue to rate quality content well, then you should continue to be pushing out new content in order to be seen. So for the time being, content will remain on a royal pedestal provided that it continues to be relevant, authentic and compelling. Ensuring this will draw attention for all the right reasons and will set your business apart from all the others in your field. From a marketing perspective, it is very much still one of the best ways to form relationships with your clients, create a high degree of trust, and position you as a leader in your field. Maintain the strategy through relevant and consistent content, and you will quickly see that it is one of the most cost-efficient weapons in your business arsenal.